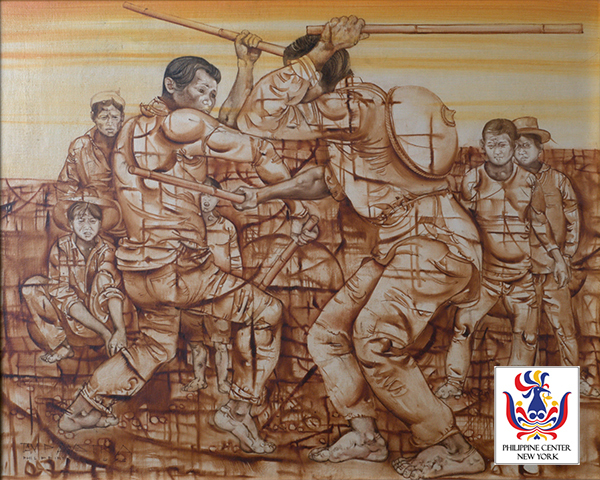 He trained early in painting under Carlos “Bolong” Francisco in Angono. He graduated with a BFA from the University of Santo Tomas in 1954. He was a recipient of the CCP Thirteen Artists Awards in 1970. He won fourth place in 1982 Mobil Art Awards. Austria’s works are highly detailed oil paintings full of subjects are rural scenes, traditional mother-and child, diwata (mythical muse), folk legends, bountiful harvest, and fiestas. His paintings are popularly celebrated for their appealing, romantic qualities.